Reeds House is ideally situated directly on the white sandy beaches of Reeds Bay in an exotic tropical garden setting. The crystal clear waters of the Caribbean are on your doorstep for swimming, snorkelling and other water sport activities. Car parking, 24-hour security personnel, receptionist and private sun beds/umbrellas all add to the enjoyment of your holiday. This penthouse provides luxurious accommodation with panoramic views from every room for 4/6 people. A well-appointed kitchen opens onto the large, air-conditioned living room where you can relax and watch the satellite plasma TV, a DVD or listen to music. An adjoining covered dining terrace overlooks the Caribbean Sea. The master bedroom is beautifully furnished with a king size four-poster bed and has the benefit of en-suite facilities, marble fittings, a large corner bath, a separate shower room and leads onto a private sitting area with wet bar. All bedrooms are air-conditioned and have ceiling fans. The second floor boasts a magnificent 55 foot private roof terrace, which is probably the largest in Barbados. A covered dining area for eight people with wet bar and ice maker leads onto the sun terrace where you can relax on comfortable designer sun-beds and several seating areas or relax in the large spa-pool. This floor also has a third air-conditioned bedroom/sitting room with an immaculate en-suite shower room. Penthouse No. 14 can be rented with Penthouse No. 13 to accommodate a larger group as the two penthouses have inter-connecting doors. 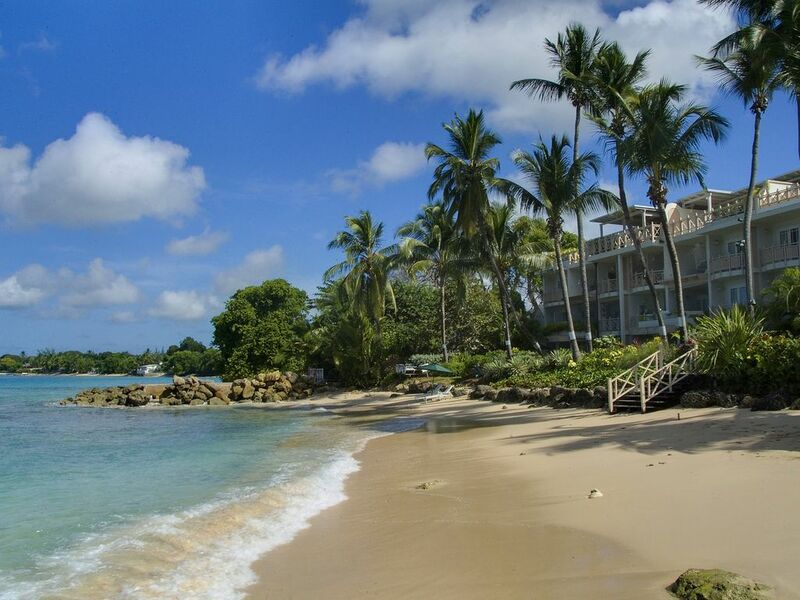 Reeds House is a secluded boutique beach-front development between the Royal Pavilion and Cobblers Cove Hotels. Sandy Lane and the Royal Westmoreland golf courses are only a 5 - 10 minute drive away, as are several tennis clubs and health spas. This stretch of coastline, commonly known as the Platinum Coast, is home to some of the Caribbean's finest restaurants and bars. Shopping is close by in Holetown and Speightstown. RESTRICTION - NO CHILDREN UNDER AGE 10.